Note on Political Activities from 2046 B.S. to 2062 B.S. The ban on political parties was lifted on 26th Chaitra 2046 B.S. The people were celebrating on the streets. 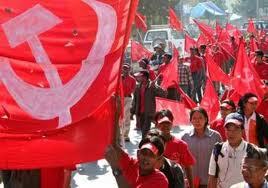 A victory rally was held in Kathmandu on 27th Chaitra and peole gathered all around. An interim government was formed with Krishna Pd. Bhattarai as the Prime Minister. The members of this government were various protesting political parties, people nominated by the King, and independent candidates. This government was tasked with creating a multiparty favorable constitution and conducting the general election. The constitution advisory commission was created led by Bishwa Nath Upadhyaya to build a constitution that respects the revolution and favors the civil rights. The commission prepared a draft and submitted it to the King. On 23rd Kartik 2047 B.S., King Birendra announced the Constitution of Nepal 2047 B.S. The constitutional monarchy came into effect from that day onwards. The general election was successfully held and Nepali Congress won the majority of the votes. Girija Pd. 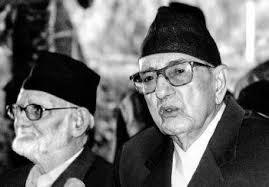 Koirala was appointed the Prime Minister. Due to internal conflicts, this government was disbanded without completing its full term. The midterm elections for the constituent assembly were held on Kartik 2051 B.S. No party could achieve majority votes. Communist Party of Nepal (United Marxist Leninist) president ManMohan Adhikari was elected the Prime Minister. There were various governments being set up and getting dissolved after this. The then Nepal Communist Party (Maoist) started armed resistance against the constitution and the existing monarchy from 1st Falgun 2052 B.S. The Narayanhiti Massacre occurred on 19th Jestha 2059 B.S. that ended the royal family of King Birendra. This event effectively changed the political atmosphere of Nepal. King Birendra’s younger brother Gyanendra succeeded the royal throne. King Gyanendra removed the then Prime Minister Sher Bd. Deuba from cabinet and took complete power within his hands on 18th Aswin 2059 B.S. He further announced that political leaders from major parties were put on house arrest from 19th Magh 2061 B.S. He also announced that the complete executive rights had been taken back and he was the sole ruler. Political parties were angered by this decision. The revolting CPN Maoist was further agitated by this decision. Seven political parties and CPN Maoist reached a 12 point agreement in Delhi to conduct a peaceful revolution against the King’s decisions. Accordingly, the second civil revolution began from 24th Chaitra 2062 B.S. This Second People's Movement began to affect every sector, and the general public poured onto the streets in huge numbers. There were protests for 19 days all over the country against monarchy. Finally the King was forced to step down. Keeping in mind the ongoing movement, King Gyanendra made a public announcement on 11th Baishakh 2063 B.S. He agreed to meet the demands put forth by the protesting parties and republic democracy was established. The constituent assembly was revived to hold elections and build the constitution. Formation of constitution advisory commission led by Supreme Court Justice Bishwa Nath Upadhyaya. Announcement of Nepal Constitution 2047 B.S. by King Birendra. Completion of first Constitutional Assembly Election and Girija Pd. Koirala elected Prime Minister. Minority government formed led by CPN UML leader ManMohan Adhikari as the Prime Minister. United government formed led by Prime Minister Sher Bd. Deuba. CPN Maoist began the armed resistance against the monarchy. 20th Baishakh & 3rd Jestha 2056 B.S. Royal Family Massacre in Narayanhiti Royal Palace & death of King Birendra’s family. King Gyanendra took all power into his hands. 12 point agreement in Delhi between CPN Maoist and 7 political parties for peaceful protests against monarchy and democracy. The second election to the parliament was held on 29 Baisakh 2048 B.S in which Nepali Congress got the majority and its leader Girija Prasad Koirala formed the cabinet. On Mangsir 5, 2063 the Comprehensive Peace Accord was signed by the Maoists and the government under the UN mediation. On the 19th of Magh 2061 B.S then King Gyanendra detained all political leaders including Prime Minister Sher Bahadur Deuba and formed the government under his chairmanship. In your option, what type of work did he? Write. The move of the King Gyanendra on 2061, Magh 19 was guided by an over ambitious concept to impose autocracy in Nepal. Mention any three positive changes in Nepalese life after the comprehensive peace accord 2063. 12 year long indecisive unpeaceful state came to end. Peace is possible even after war, this sense was proved. The inclusion of the Maoist in the peace process and parliamentary affairs, interim constitution and interim government was made possible. How do you evaluate political events developed after 2063 B.S? Write in four points. Nepal has undergone several political ups and downs. Political instabilities weaken the development process of the country. These instabilities have been observed after the unification of Nepal. Several political systems have been exercised for a new political realm but later again the trend of destines in politics is witnessed. In my opinion the political development after 2063 was considerably satisfactory in the beginning. But then grew unnecessary environment of negotiations in one's favor rather than the sake of country's development. After the election of constituent Assembly, the CPN Maoist emerged as the largest political party. But its role wasn't as expected, though it formed its government. In the latter days there came unhealthy environment of power greed rather than the focus on constitution drafting. In the latter days, it is clearly seems that the political leaders are more interested in strengthening one's own power rather than doing any praiseworthy act for the sake of country. As a result the parliaments have been publicly facing mistreatments. They seem interested on earning through allowances per month and retain the power. What criteria will you use to evaluate the special publication published on the people's movement 2046 B.S.? How far the information given is based on facts? Whether the photography and pictures are authentic or not. Whether the dates and places corroborate the events. If there is a flavor of party politics. Whether there are sample proofs to support the people's struggle or not. Write short notes on Late King Birendra. Late King Birendra was born in Narayanhiti Royal Palace on 14th Poush 2002 B.S. He was the eldest son of king Mahendra and his senior queen Indra Rajya Laxmi Devi Shah. He completed his higher education at the most renowned academic institution abroad such as St. Joseph's school, Boston College, Tokyo University and Harvard University. King Birendra was married to queen Aishwarya on 16th Falgun 2016. They were blessed with two sons and a daughter. Late King Birendra stressed upon the need of balanced development. Before he divided the country into four and later on five development regions he had underlined high rate of growth of population, deep rooted ignorance and illiteracy and low level of skill and knowledge as the problems of development of Nepal. In the process of development he was one of the most local members of the SAARC which was established for the regional cooperation in South Asia. In a sorrowful and unprecedented academy at Narayanhiti Royal Palace, all family members of king Birendra were massacred recently on 19th Jestha 2058 B.S. It was the most shameful incident in the history of Nepal. Why is November 2011 taken as an important day in the peace process of Nepal? When did King Gyanendra declared the returning in sovereignty to the people and restoration of the House of Representatives? When did Constituent Assembly declared Nepal a Republic State? Who was elected as the first President of Republic of Nepal? When was firsg peoples movement held? What is the political,social and economics event after 2046BS? when was second amendment of present constitution of Nepal made? when did royal massacre took place? Any Questions on 'Political Activities from 2046 B.S. to 2062 B.S. '?